The'I' in the title pertains to the core of self that persists over time. These are challenges that elude people like social scientists, philosophers, or critics of literature and the arts, who would chronicle or explain humanity's doings. 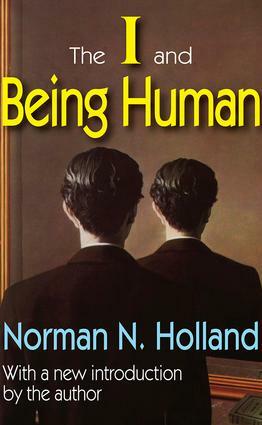 This informative, engaging, and joyous book by Norman N. Holland offers a usable model for the aesthetics, psychology, history, and science of the human subject. Holland begins by modeling the self as a theme and variations, constant yet constantly changing. He shows how symbolization, perception, cognition, and memory all contribute to the sense of I, hence how any one I grows out of a specific history and culture but also out of experiences all humans share. Holland proposes a scientific psychology based on his model, fusing the experiments of academic psychology with the insights of psychoanalysis. He illustrates his theory by the lives of George Bernard Shaw, Scott Fitzgerald, and other writers, as well as Freud's patient "Little Hans," in adulthood a famed stage director at the Metropolitan Opera.The I and Being Human attempts nothing less than to draw together aspects of the self, such as objectivity and subjectivity, that have eluded connection. In so doing, Norman Holland offers a rereading of psychoanalysis as a theory of the I.